The clip is 30 seconds long, but the amount of Tokyo Ghoul footage is much, much shorter. 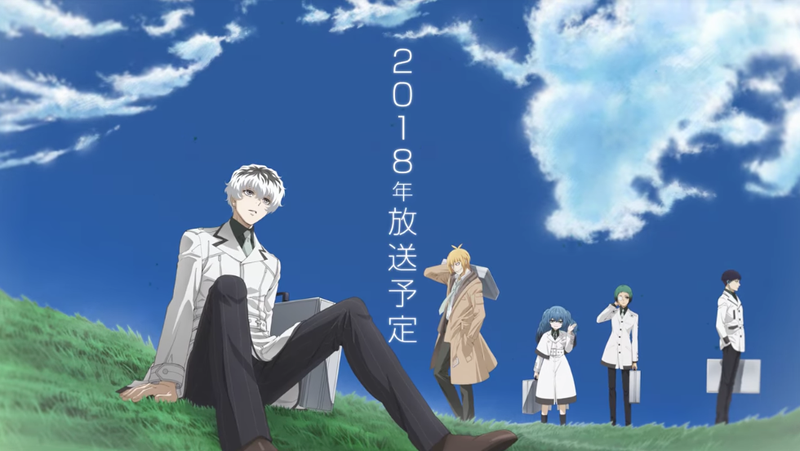 The Tokyo Ghoul:re anime is slated for 2018. The manga by the same debuted in 2014 and is a sequel to the first Tokyo Ghoul manga series. The teaser doesn’t announce which studio is doing the animation, but eventually, that’ll be revealed.